As 2018 comes to an end, we’re looking back on the moments this year that filled us with joy, wonder, sorrow, and fear. This was the year we were supposed to eradicate polio, according to the Polio Eradication and Endgame Strategic Plan 2013–2018. But there were 27 new cases of wild poliovirus this year and it remains endemic in Afghanistan, Pakistan, and Nigeria. Twenty-eighteen began with a tragic setback, both to eradication efforts and to health worker safety, when two men on a motorcycle opened fire on Sakina Bibi and her daughter, Rizwana. The women were administering polio vaccination drops to children in Quetta, Pakistan. In 2017, there were 701 such attacks. It had been only two years since the last murder of a health worker in Pakistan’s polio eradication drive. The Safeguarding Health in Conflict Coalition reports that in 2017, there were 701 such attacks against health workers, hospitals, ambulances, and patients around the world. In February, the Associated Press found evidence of at least five mass graves in Myanmar, part of the mounting evidence of a genocide being perpetrated against the country’s Rohingya Muslim minority. Many survivors of the attacks and systematic slaughters fear their culture is being erased. Worldwide, some 68 million people are displaced, which too often means they don’t have access to much-needed medicines and health care. As a result, diseases become more difficult to contain, maternal deaths more difficult to prevent, and more people die unnecessarily. Entire communities and cultures can suffer the effects for generations. 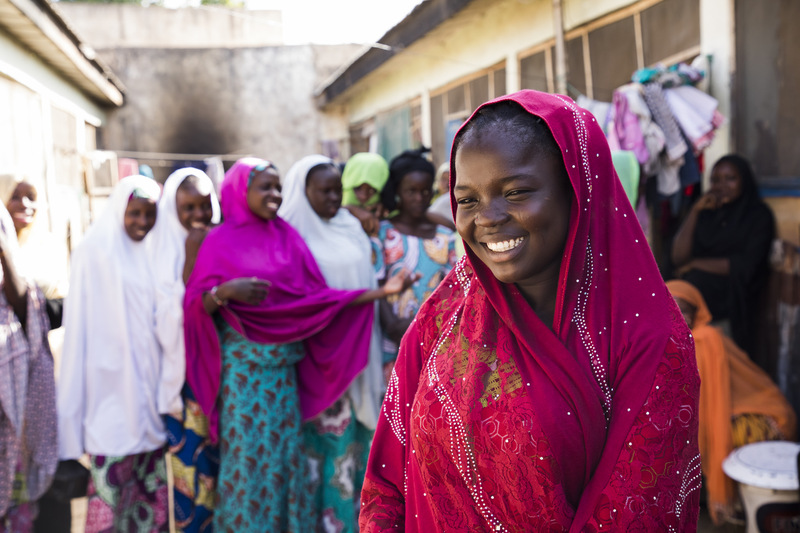 It was an emotional moment when most of the 110 girls who had been stolen from the Government Girls Science and Technical College in Dapchi, Nigeria, by Boko Haram were finally returned to their village. Not all the girls made it home—five died during their captivity and one, the lone Christian in the group, was not returned at all. While we don’t yet know the long-term physical or psychological consequences of Boko Haram’s violence for Nigeria’s youth, we do know it has left many struggling with the effects of severe mental trauma. Getting from point A to point B on the Amazon River in Peru can take five or six hours by water—or just 30 minutes, as the drone flies. That’s why Peruvian Flying Labs is using drones to deliver antivenin and other crucial medicines to the heart of the Peruvian Amazon and as part of search-and-rescue missions during floods. This was a moment that got us thinking about all the ways drones are being used in humanitarian causes, including delivering medicines, getting HIV test results to clients faster, mapping and disaster relief, and so much more. It didn’t make international news, but it did make our hearts soar. On May 23, the Koulikoro referral health center in Mali broke ground on a new structure that will provide a safe, comfortable place for women to convalesce and recover before and after their life-changing obstetric fistula repair surgeries. The new building is just the latest illustration of what can happen when the right partners join forces to provide holistic fistula care to women in Mali. Trachoma is painful. It can cause a person’s eyelids to turn inward, the eyelashes to scratch against the eyeball with every blink—the scarring can eventually lead to blindness. It’s also the leading infectious cause of blindness in the world. The WHO has vowed to eliminate trachoma by 2020 and, in May and June, Nepal and Ghana became the sixth and seventh countries, respectively, to do so. Save the Children reports that since the crisis in Yemen escalated in 2015, some 85,000 children may have died of starvation. The United Nations has called it the worst humanitarian crisis in the world. In July, we saw glimmers of possible cease-fire and peace talks. We didn’t know it then, but not until December, as famine loomed over the country, would the first face-to-face negotiations occur in Sweden. On December 13, the Yemeni government and Houthi rebels finally reached an agreement for cease-fire in the port city of Hodeidah—one tentative step in the direction of peace. Men generally have three options to prevent pregnancy: the condom, vasectomy, or abstinence. But in August, at the Endocrine Society’s 100th annual meeting in Chicago, Illinois, researchers presented the results of a new study on dimethandrolone undecanoate, a birth control pill for men. And a few months later, at the International Conference on Family Planning in Kigali, Rwanda, the Population Council won the conference’s Pitchfest competition for its contraceptive gel for men, which will be moving into a Phase B trial this month (December 2018). Expanding access to and options for male birth control methods could help reduce global unmet need for contraception and promote greater gender equity at the same time. It changes the conversation around family planning. We can’t wait to see what 2019 holds for these and other new contraceptive technologies. The bad news: Around the same time the Ebola vaccine was being put to the test, a new study revealed that unless we triple our annual investment in the necessary research, it’s unlikely that scientists will be able to develop much-needed vaccines against HIV, tuberculosis, and malaria. It was 1978 when we all agreed that health is a human right and that access to primary health care should be universal. We committed then to making it happen by 2000. But here we are 40 years later and about half the world’s population still doesn’t have full access to essential health services. This is partly due to the global shortage of health workers, which the WHO says could reach 18 million by 2030. Right now, 70% of countries are unprepared to handle infectious disease outbreaks, largely because of weak health systems and a shortage of lifesaving personnel. In October, 1,200 delegates from over 120 countries gathered in Astana, Kazakhstan, for the ​Global Conference on Primary Health Care to renew the commitment we made four decades ago—and to take a hard look at what it will take to finally achieve it. While the Ebola vaccine has given health workers and epidemiologists an edge in fighting the outbreak in DRC, war in the country has threatened to negate that progress and carry the virus into neighboring countries. This was one moment we won’t soon forget. On December 12, President Trump extended provisions for the US President’s Emergency Plan for AIDS Relief for another five years. This renewed commitment from the US could help us reach our goal to end the global epidemic by 2030. “Since its inception, PEPFAR has saved over 17 million lives, prevented millions of HIV infections, and transformed the global AIDS response from death and despair to life and hope,” wrote Ambassador Deborah Birx in her statement on the act. The signature took just a moment. But like many of the others on our list this year, it’s likely to affect human health and well-being for generations to come.